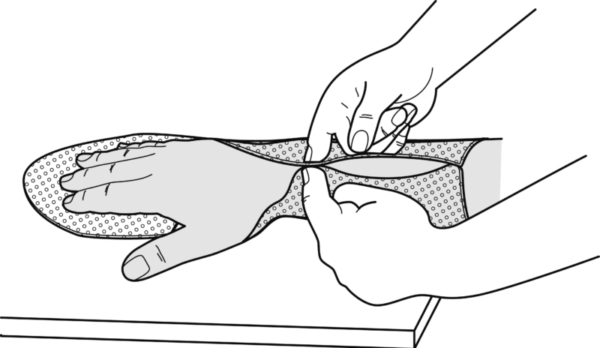 Place the hand on top of the pre-heated splint material. Using the fingertips, grasp both edges near the wrist. Pull hard and stick the ends together. 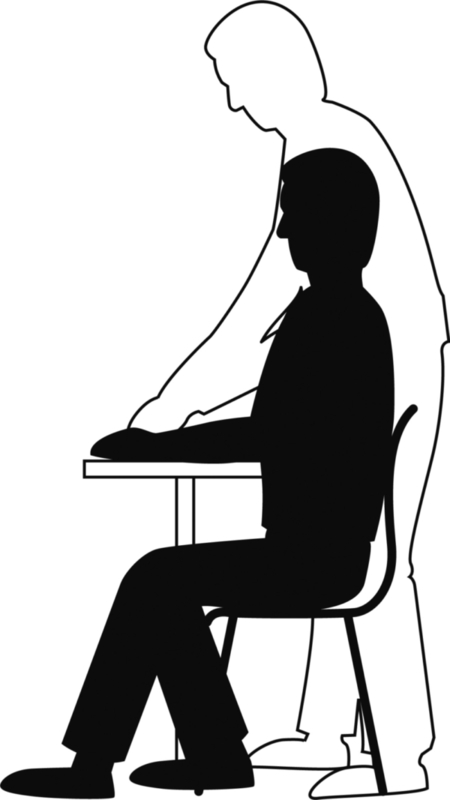 Do the same at the proximal end. snugly in the palm of the hand. Finishing: Cut the edges neatly. 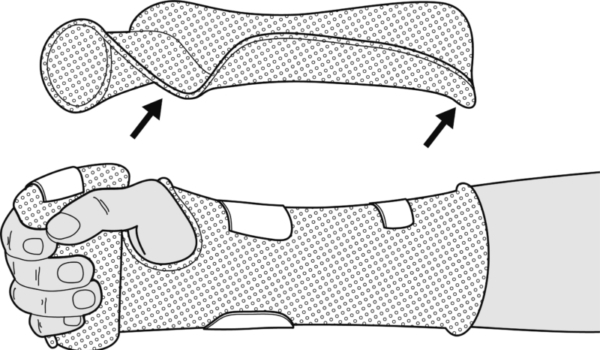 Bend the thenar edge and the proximal edge outwards. 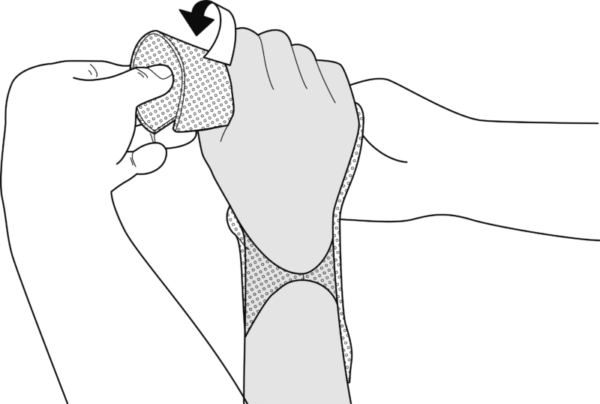 Fixation: 1 broad strap diagnoally across the wrist, 1 narrow strap at the proximal end, 1 arrow strap over the fingers.